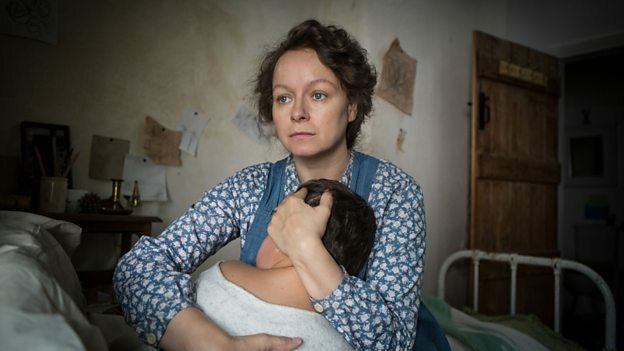 A new trailer has been released for BBC One’s 90-minute adaptation of Cider With Rosie, starring Samantha Morton (pictured below). A vivid memoir of Laurie Lee’s childhood, Cider With Rosie is an evocative coming-of-age story set in an idyllic Cotswold village during and immediately after the Great War. Marking the journey of young Lol (Archie Cox) as he grows from boy to man, the story chronicles first love, loss and family upheaval. The cast also stars Ruby Ashbourne Serkis as the titular Rosie; Emma Curtis, Jessica Hynes, June Whitfield, Annette Crosbie, Billy Howle and Timothy Spall as the voice of Laurie Lee.